Thank you for singing along with us at True Woman! Just because the conference is over doesn’t mean your song needs to end. 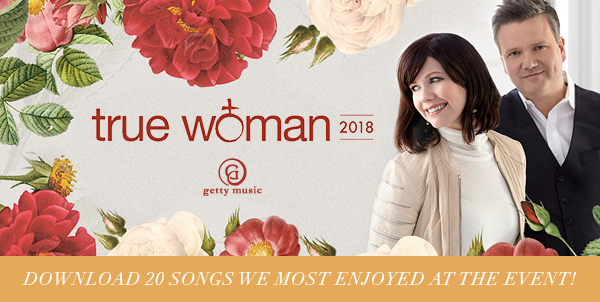 We have put together a special downloadable playlist of the 20 songs we most enjoyed singing with you at the event. Click the button below to download all 20 songs + get free sheet music from Getty Music for ONLY $14.95 USD! Singing with our children is one of the most memorable ways we can teach them the Christian faith. This fun family worship activity book includes scripture verses, coloring pages, songs, musical facts and more. Fill out the form below to download a FREE family worship activity book! Thank you! Please CLICK HERE to access your free Activity Book download. 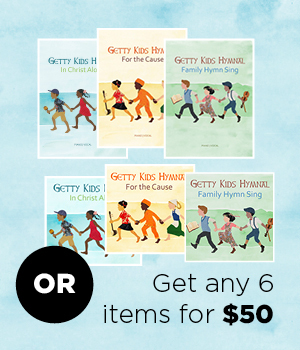 SPECIAL OFFER: we are also extending the True Woman 2018 conference pricing for the Getty Kids Hymnal series songbooks and CDs. 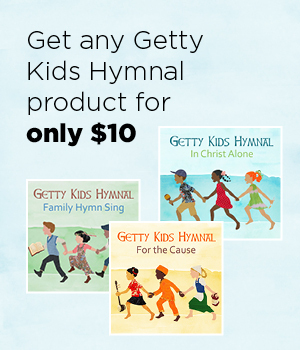 Get any Getty Kids Hymnal product for only $10 OR get any 6 items for $50. Consider giving these to family and friends with children in the home and give the gift of songs to carry for life.